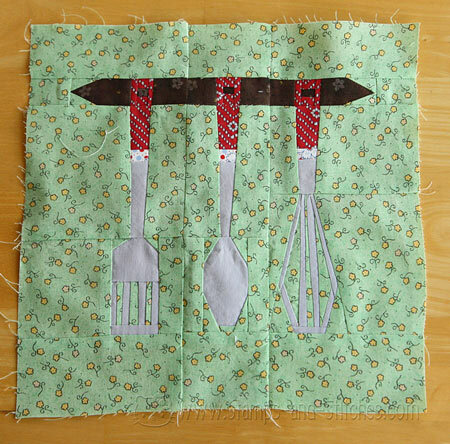 this is just so perfect-- i love your sewing! This is adorable Gail! Can't wait to see what you make with this! Oh my gosh, this is adorable Gale!!! It would look so cute in your kitchen! That is so cute! I have a friend who sews and she has taught me a little and gave me her old machine...but I still find it intimidating! oooooo so very cool. That'd be a neat piece to hang in the kitchen. Very vintage and retro - at the same time. Gale, this is just THE CUTEST!!! You're so creative and talented! This would really be cute in a framed and hung on the wall now. VERY nice! Wow...Gale this is really cute! Your colours are perfect and the sewing is so crisp. Wow, this is very impressive, I can't even sew a straight line in scrapping.